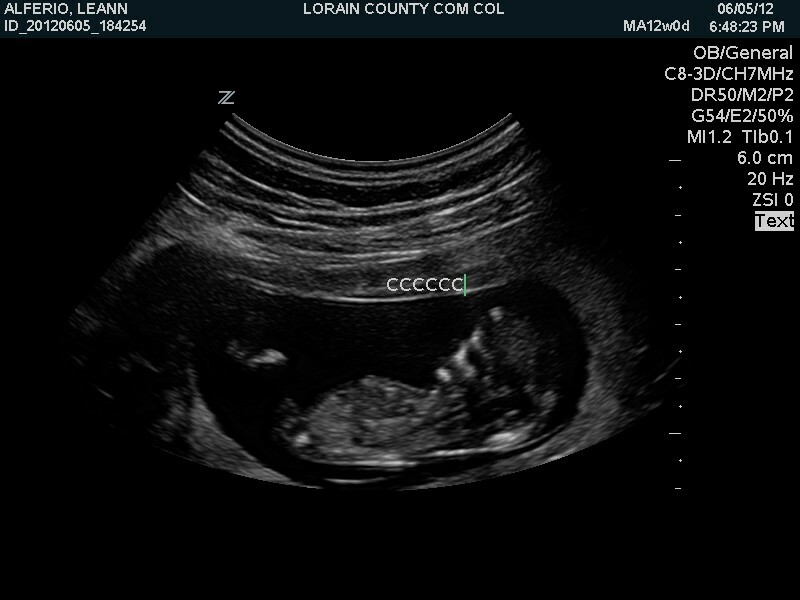 Today we went to Lorain County Community College for an ultrasound. We met a student from the college at our last appointment with Dr. Shah. The changes and development the babies had gone through in just two weeks was amazing!! 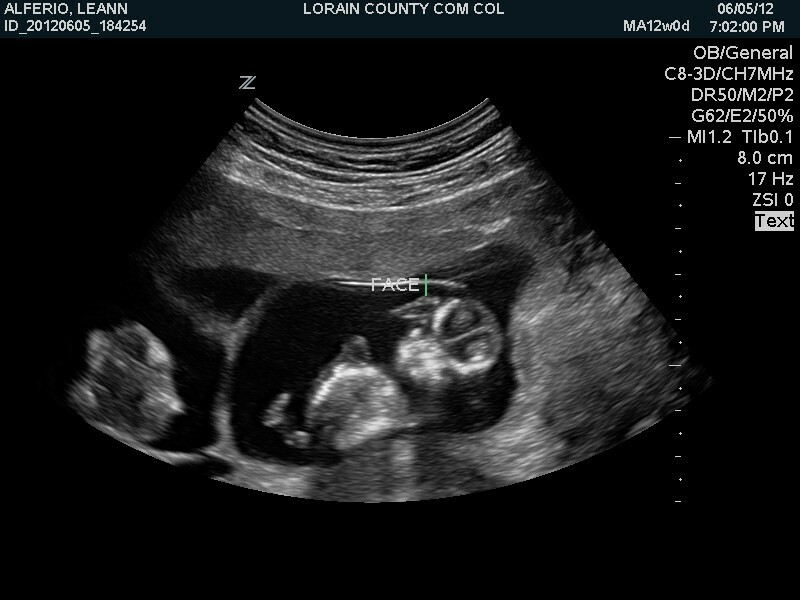 Facial features, fingers, toes, and brain development were all visible. I was shocked to see the detail we were able to see in the brain--the hemispheres were divided and the skull had already formed. 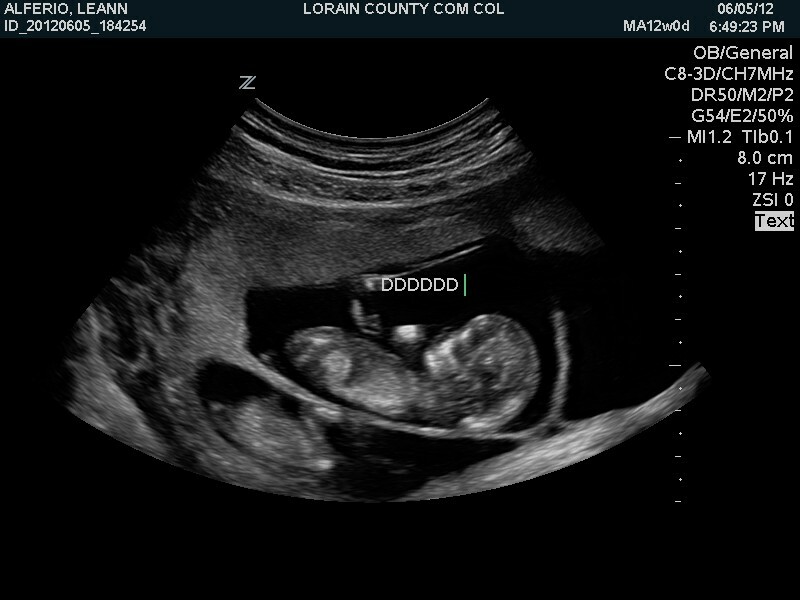 The most exciting part was learning the gender of three of them. Two were boys and proudly flaunting it, one other was definitely a girl but the remaining two were too modest to determine their gender. They were also able to tell us that the development of the back of the neck looked really good on several of them. I need to do a little more research but I believe this is one factor they use to rule out Down's syndrome. We asked if there was anything else to look for in order to rule out concerns such as cerebral palsy but they informed us that won't be determined until birth. This picture shows both hemispheres of the brain and a front view of the face. 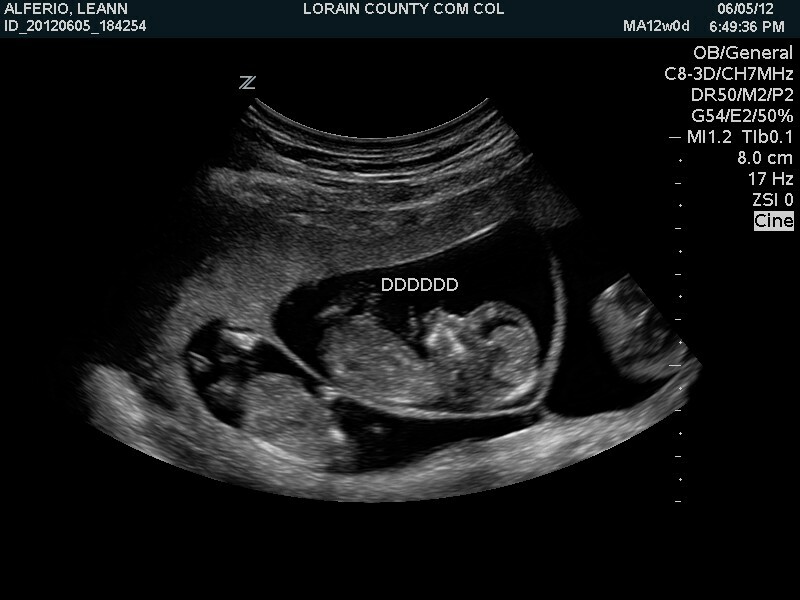 This is our wild child already. 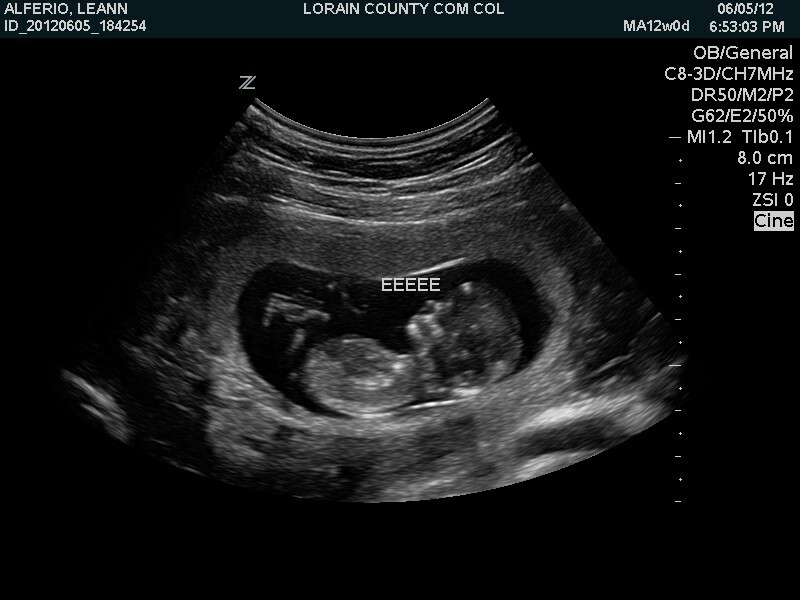 He/She is always kicking and rolling around. 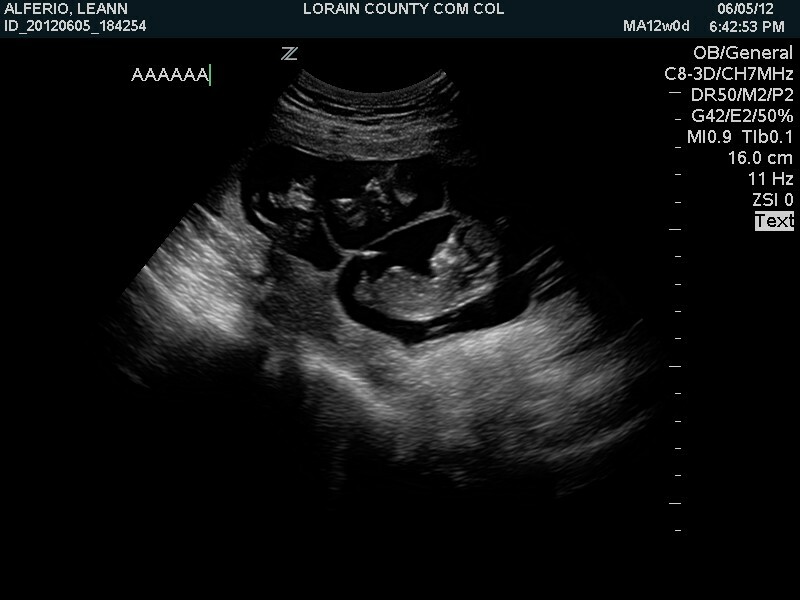 They are getting too big to get a snapshot of all of them together but this shows parts of 3 of them.